A selection of work made for UNMAS is on display at the United Nations Headquarters in New York City for the month of April. It will run until the beginning of May and then be sent for display at the Hague in Geneva. It can be viewed in the visitor's lobby of the main building on the exterior wall of the General Assembly. I was included in Ayesha Shakya's recent project on how Instagram is changing the way we're consuming news. She combined a great set of info into an easy guide for publishers and producers struggling to understand Instagram's Stories feature. 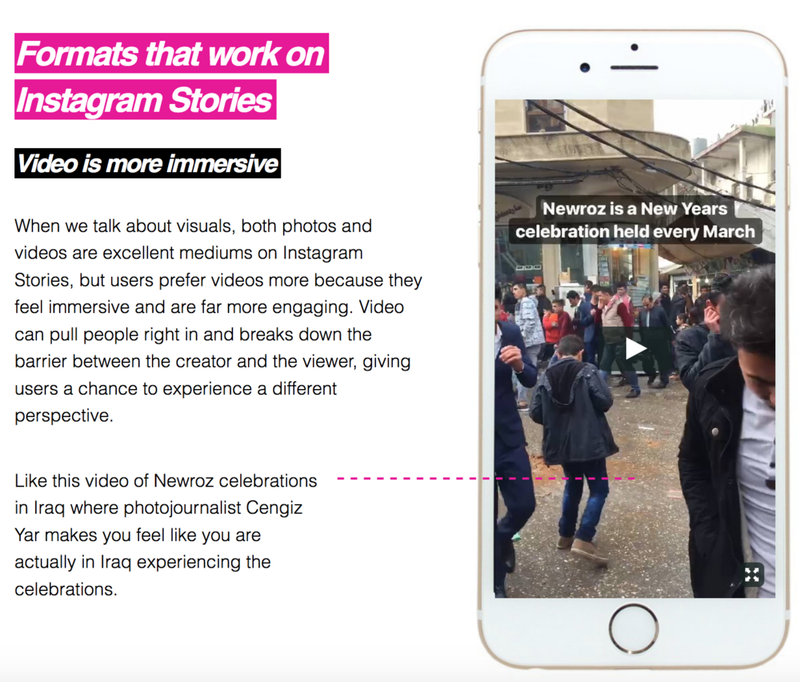 Check it out here - including a short Instagram Stories clip from Newroz in northern Iraq. Escaping war and the Islamic State, families took with them what little they could carry — remembrances of loved ones and the past. Often, there is little function or utility to these items — a broken watch, a child’s garment, a handful of worn photographs. They are tokens of the life — and the people — they left behind. 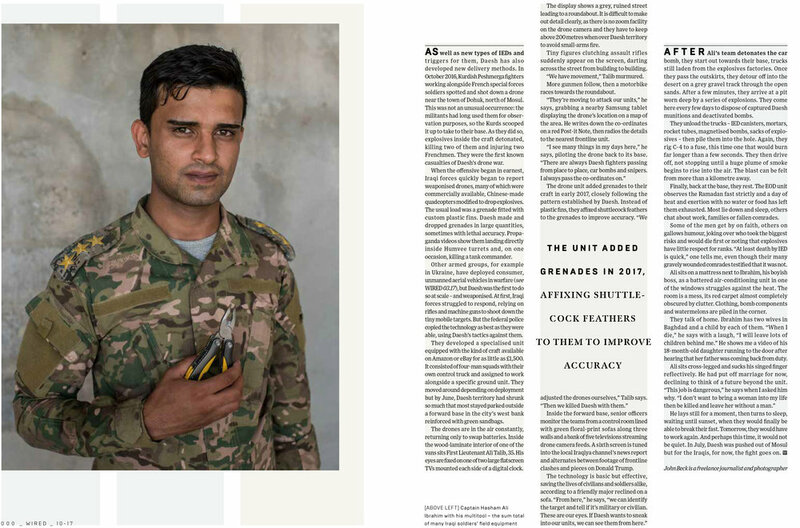 Read more online here or pick-up this month's edition of Foreign Policy Magazine. In June writer John Beck and I embedded with an Iraqi EOD team as they attempted clearing newly retaken areas from ISIS in Mosul. Read the full story online today or pickup a copy of WIRED UK. 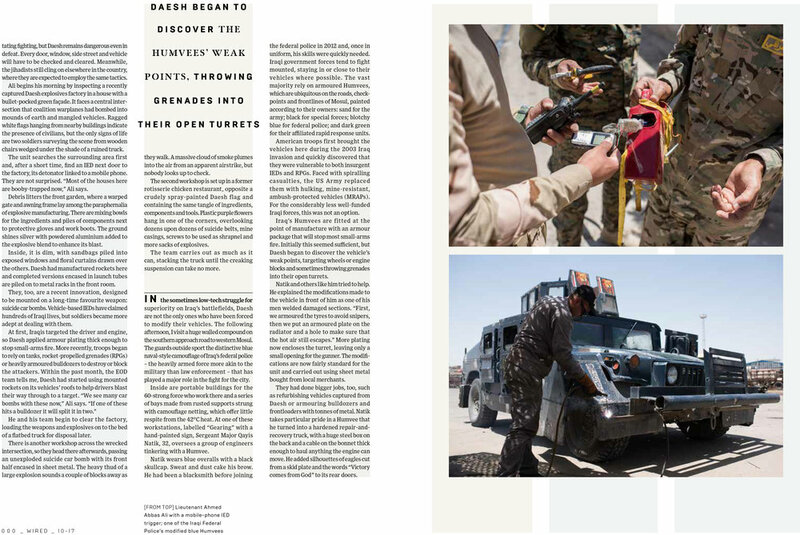 This piece was for Monocle Magazine's Summer Weekly on the rebuilding of Mosul after nine months of battle. Writer Campbell Macdiarmid did the text for this piece. You can purchase this edition of the magazine here. A long conversation between myself and Mossless founder Romke Hoogwaerts for The Reservoir - focused on my use of the Instagram Stories platform. 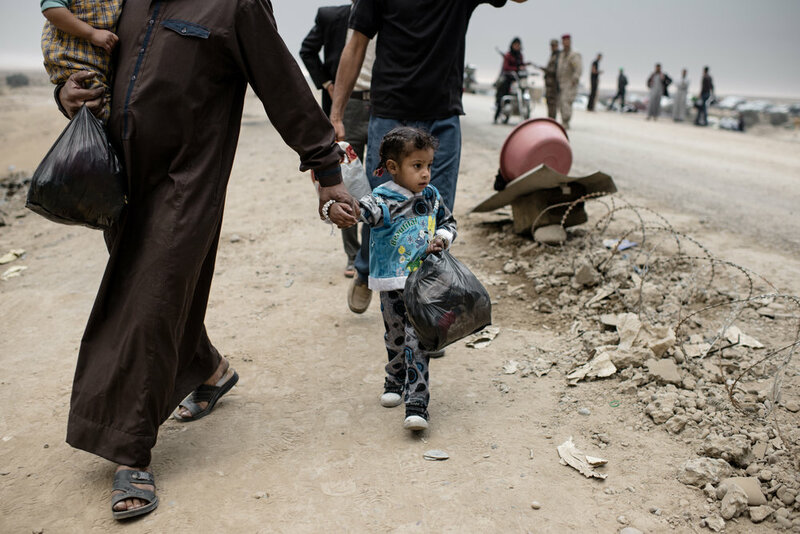 From the dusty field clinic in Samah to the survivor of Jadidah - here is my 6 month summary of the suffering and pain endured by Mosul's youngest for Foreign Policy. 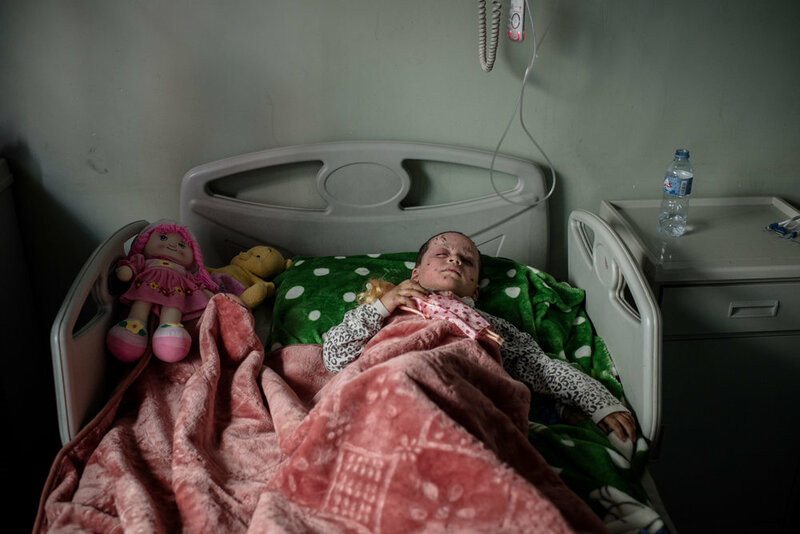 “Every day, there is more shrapnel,” Alia said, sitting on the linoleum floor of the hospital, stroking the tuft of brown hair on Awra’s head that is growing back after it was shaved to remove the first pieces of metal when she arrived at the hospital. Bits of shrapnel are still coming out of her head wounds, and larger pieces remain lodged in her legs. "There were voices coming from deep under the rubble, but we helped the easy ones on the top first. By the time we had finished, the other voices had stopped." Read the full story of four year old Awra here. Recent work for UN FAO documenting their cash for work project and mine clearance operations on the main Al Jazeera irrigation canal in northern Iraq. See additional photos here and read about the project here. Work for One World on the Peshmerga frontline and buildup prior to the late October Mosul offensive. 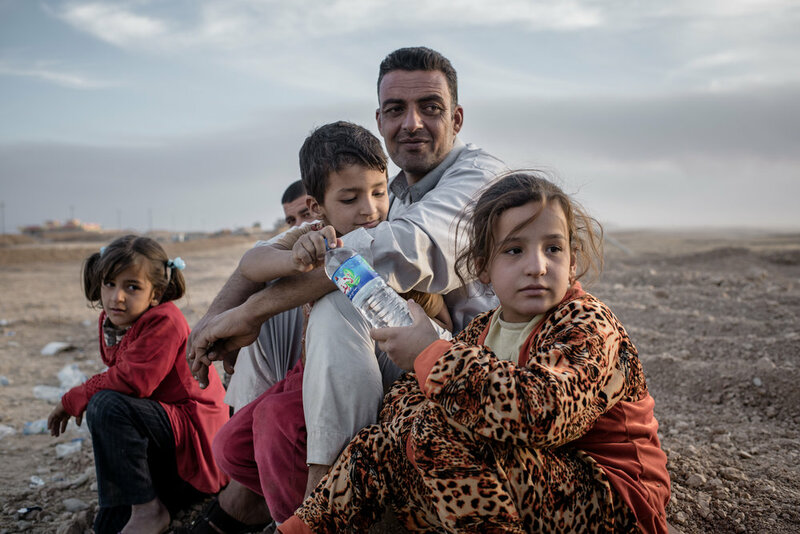 Photography for Mercy Corps on the growing humanitarian crisis as a result of the campaign to retake Mosul from ISIS. Read their Quick Facts to find out more about the situation. All images shown here produced with funds provided by Mercy Corps. 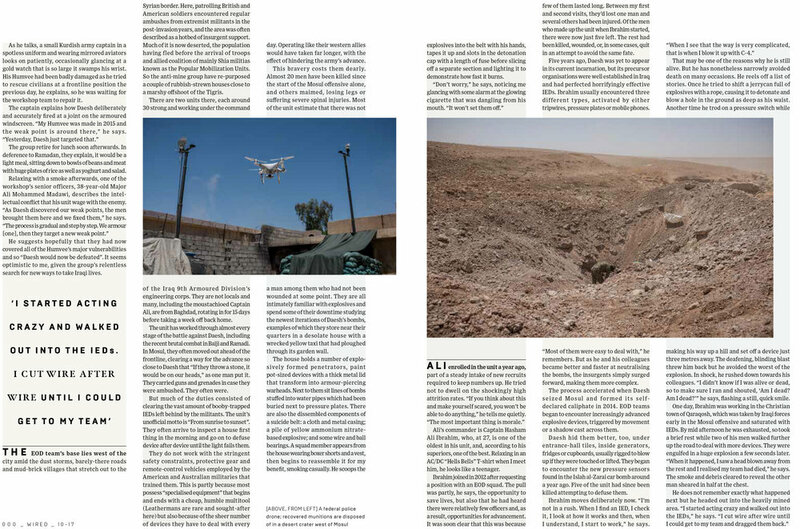 Photography on the retaking of Christian villages from ISIS for Maclean's Magazine with Campbell MacDiarmid. Read the full article online here or pickup a copy in Canada. My latest from Qayyarah, Iraq for Foreign Policy. Read the full article online here. 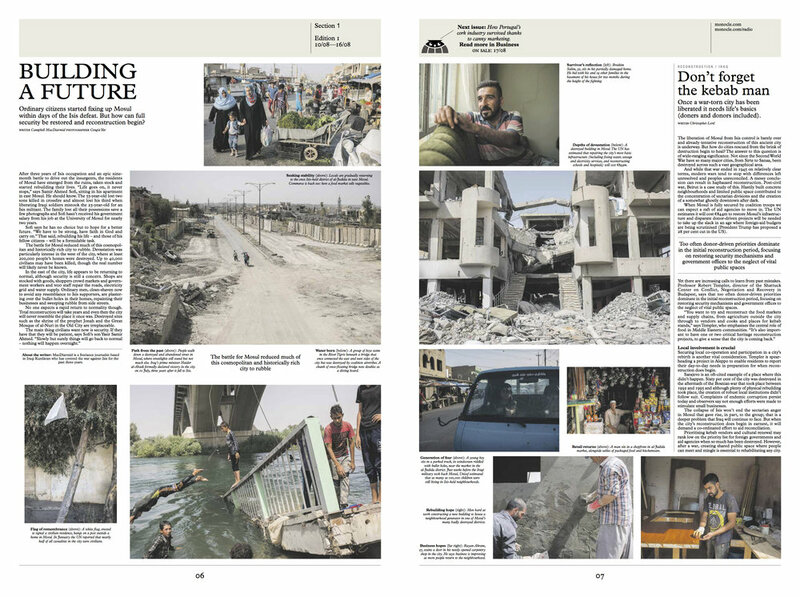 Photography from Qayyarah, Iraq for Foreign Policy with Campbell MacDiarmid. Read the full article online here.